India's economy expanded by 7 per cent in the third quarter of this financial year. Reflecting the impact of the demonetisation drive, India's economy expanded by 7 per cent in the third quarter of this financial year, official data showed on Tuesday. India's GDP for the third quarter ended December, estimated at Rs 30.28 lakh crore, recorded a growth of 7 per cent, compared with 7.3 per cent in the second quarter, official data showed on Tuesday. Industry said the figures were in line with expectations. The country had registered a Gross Domestic Product of Rs 28.31 lakh crore in the corresponding quarter of 2015-16. The Central Statistics Office (CSO) has retained the growth projection for the current fiscal at 7.1 per cent, as projected in the first advance estimate in January. Meanwhile, the CSO has also marginally revised upwards the GDP estimates for the first and the second quarters to 7.2 per cent and 7.4 per cent. It was feared that demonetisation effected in the middle of the third quarter (November 9, 2016) would have adverse bearing on various segments of the economy. The Reserve Bank of India and other agencies like IMF and OECD had lowered GDP projections arguing that the note ban would have short-term impact on the Indian economy. In a statement, the CSO said Real GDP or Gross Domestic Product (GDP) at constant (2011-12) prices in 2016-17 is likely to attain a level of Rs 121.65 lakh crore, as against the first revised estimate of GDP for 2015-16 of Rs 113.58 lakh crore, released in January 2017. "The growth in GDP during 2016-17 is estimated at 7.1 per cent as compared to the growth rate of 7.9 per cent in 2015-16," it said. Real GVA (Gross Value Added) is anticipated to increase from Rs 104.70 lakh crore in 2015-16 to Rs 111.68 lakh crore in 2016-17. "Anticipated growth of real GVA at basic prices in 2016-17 is 6.7 per cent against 7.8 per cent in 2015-16," the release said. The 'agriculture, forestry and fishing' sector is likely to show 4.4 per cent growth in its GVA during 2016-17, as against the previous year's growth of 0.8 per cent. The second advance estimates of National Income, 2016-17, revealed that the growth in the GVA from 'manufacturing' sector is estimated to be 7.7 per cent compared to 10.6 per cent in 2015-16. Commenting on the data, Economic Affairs Secretary Shaktikanta Das said this year growth figures are on a high base of last fiscal and numbers "do not show much negative impact of demonetisation". The per capita net national income (current price) during 2016-17 is estimated to be Rs 1,03,818 showing a rise of 10.2 per cent compared to Rs 94,178 during 2015-16 with the growth rate of 8.9 per cent. Private Final Consumption Expenditure (PFCE) at current prices is estimated at Rs 88.40 lakh crore in 2016-17 as against Rs 79.00 lakh crore in 2015-16. At constant (2011-12) prices, the PFCE is estimated at Rs 68.26 lakh crore in 2016-17 as against Rs 63.66 lakh crore in 2015-16. In terms of GDP, the rates of PFCE at current and constant prices during 2016-17 are estimated at 58 per cent and 56.1 per cent, respectively, as against the corresponding rates of 57.8 per cent and 56.1 per cent, respectively in 2015-16. The data further revealed that Gross Fixed Capital Formation (GFCF) at current prices is estimated at Rs 40.97 lakh crore in 2016-17 as against Rs 39.89 lakh crore in last fiscl. At constant prices, the GFCF is estimated at Rs 35.55 lakh crore in 2016-17 as against Rs 35.35 lakh crore year-on-year. "In terms of GDP, the rates of GFCF at current and constant (2011-12) prices during 2016-17 are estimated at 26.9 per cent and 29.2 per cent, respectively, as against the corresponding rates of 29.2 per cent and 31.1 per cent, respectively in 2015-16," the CSO said. The GFCF is expected to register growth rate of 2.7 per cent at current prices and 0.6 per cent at constant prices. Industry body Assocham said that estimates of GDP are "very much in line with the expectations." 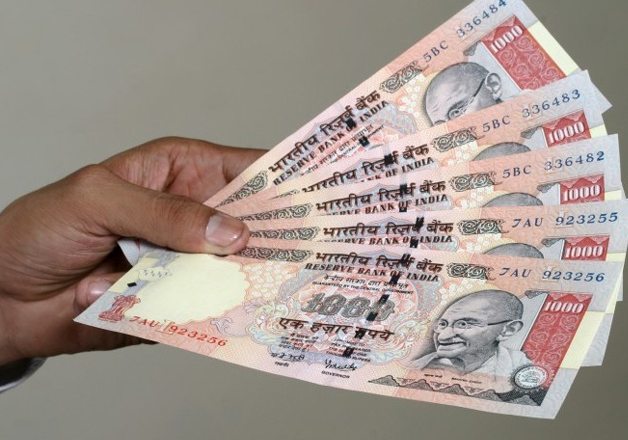 "Estimates put forth by different institutions like the Reserve Bank of India, World Bank and others thereby showing downward movements in the economic activity of India mainly due to withdrawal of specified bank notes," the chamber said. "Policymakers should take doable steps to revive fixed investments and production of capital goods which are falling continuously since the growth which is being supported by consumption demand does not have sustainable impact," said Assocham President Sandeep Jajodia. "It is extremely critical to push the domestic capex cycle which has been persistently weak. We are hopeful that going ahead the planned increase in public expenditure, will crowd in private investments," industry body Ficci Secretary General A. Didar Singh said in a statement here. "We also look forward to a further reduction in lending rates by the banks. This will help boost consumption and prop-up investments through low-cost finance," he added.